If you currently have an FHA Loan and mortgage rates have dropped substantially since you first got the loan, then maybe an FHA Streamline Refinance is the right choice for you. An FHA Streamline Loan is a fast-track refinance program for current borrowers with an FHA Loan who will go into another FHA Loan. The key thing to making this happen is that an appraisal is not necessary or required to partake in this program. As long as the borrowers on the original FHA Loan are on the FHA Streamline Loan, then this refinance can proceed. 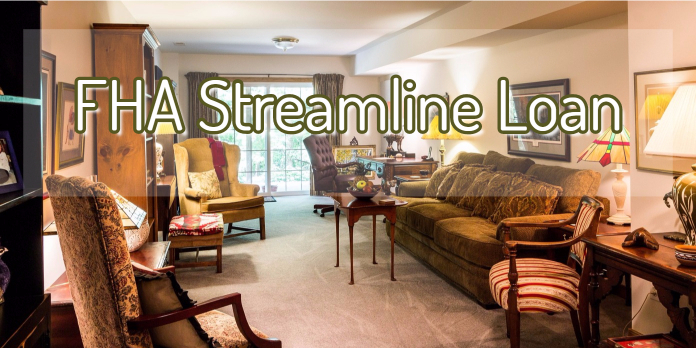 Why this streamline is so attractive is due to the fact that there isn’t an appraisal, there is no income verification, and there is no credit score requirement. However, if you have a high credit score, disclosing this during the refinance is key because you can get a better interest rate with a high credit score. The FHA Streamline Loan allows homeowners with low credit scores and derogatory credit history since the original FHA Loan so get approved for the refinance. Since the loan does not hinge on a FICO score, derogatories are almost considered as if they didn’t happen because credit history is not pulled. As long as you have been on-time with your FHA mortgage payments for the last 12 months you will qualify from a credit worthiness standpoint. You can be late on every other possible credit obligation, but as long as your house was paid timely every month, you are good to go. There is an exception in that you can be late with a mortgage payment, but not within the last 3 months and that late payment can only be a 30 day late. Turnaround times for an FHA Streamline Loan can be closed in as little as 21 days or less! This is extremely fast because these loans have minimal documents and background checks. With this limited paperwork, your refinance file can be processed in a timely manner. If you are looking to take advantage of the FHA Streamline Loan Refinance, then you need to reach out to me ASAP at 888-900-1020 and I can guide you through the steps and documents needed in order to get your FHA Streamline processed. As an example you will need to have your most recent mortgage statement, your HUD-1 Settlement Statement, and a copy of your mortgage note. Talk to you soon!